For all that happened during 2014 (and there was a lot), it will undoubtedly be remembered for one singular, face-breaking event: Roy Halladay going to the zoo with a handsome, witty, intelligent, charming, dashing, handsome, lovable bolgger. 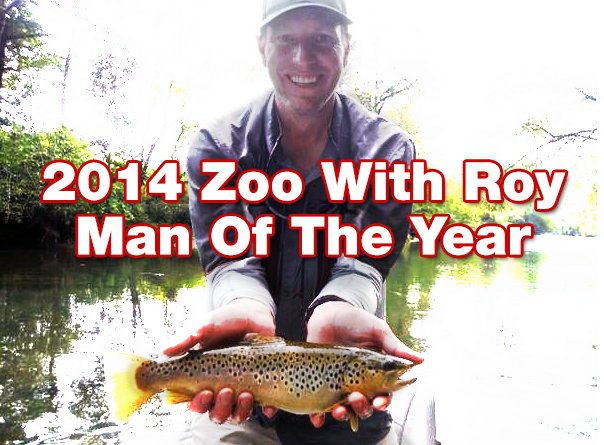 Paired with everything else Halladay accomplished during the year (joining Twitter and instantly winning our hearts, piloting solo flights, promoting charity, coaching little league, penning a love letter to Chase Utley), it should come as no surprise that Harry Leroy Halladay III has, once again, been selected as Zoo With Roy’s Man of the Year*! Legacy is a tricky thing, something that can topple-- or hollow-- as one reveals their true person in lieu of carrying out profession. It’s much simpler to garner favor for an output that stems from natural ability consumed as product than it is to build that legacy based on innate character and/or superlative actions. Roy Halladay became a cultural icon due to baseball, he remains a hero because he’s a great man. This annum’s best, as it were.